Jack Delinger was born on June 22, 1926 in Oakland, California. A place that would later become the place for bodybuilding. The combination of location, weather, and genetic specimens was ideal. At 16 he began training at the YMCA to become a powerful athlete. He was inspired no doubt by the great John Grimek. Grimek, an Olympic team weightlifter combined athletic skill and speed with an outstanding physique. Jack also wanted to improve his gymnastic prowess since he was a member of his high school’s team. Soon after he joined Ed Yarick’s gym. Yarick was a 6’3″ 230lb giant of a man who was a great role model for the young lifters entering the bodybuilding scene. The Great Steve Reeves also trained at Yarick’s and was mentored by Ed. Jack was in good hands and achieved his goal of becoming a powerful athlete and more. 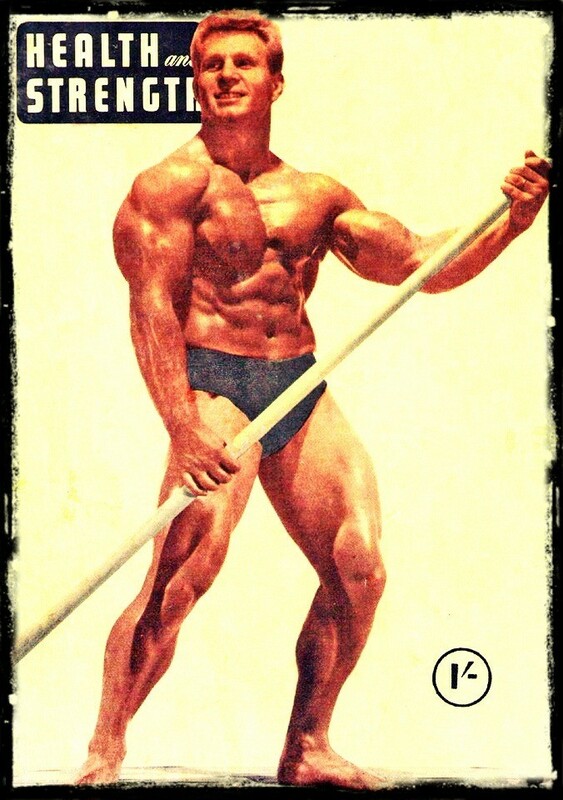 By winning his first contest, Mr. Northern California in 1946, he was further encouraged to develop a top level physique. He would eventually displayed a very thick and muscular build, outstanding for his era. It is interesting to note a young Steve Reeve’s first impression of Delinger, who was a high school gymnast at the time. Steve was watching Jack’s gymnastic routine and noticed that although he had tremendous arms and shoulders, his legs were underdeveloped. This imbalance, noted by Reeves, did no continue. Delinger devoted himself to producing a balanced muscular build. His legs came up to par and he was eventually known for his great underpinnings. Looking over his finished physique it is tough to spot a weak point. He was massive from all angles with calves and thighs to match. Jack went on to win the AAU Mr. America in 1949 earning his place in bodybuilding history. 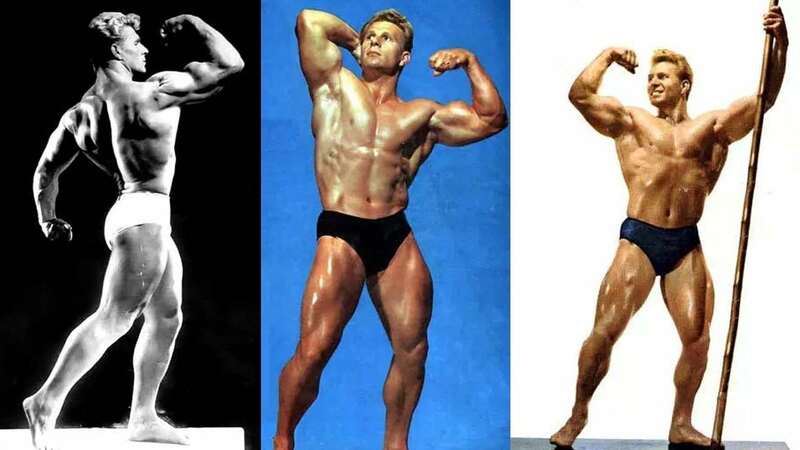 At 23 years old he was at the top of the bodybuilding game rubbing shoulders with other greats such as Reeves, Ross, and Grimek. Later that year he married Loretta Soper on December 18th. Five months later his only child, John was born on May 28th. He named his son after the great John Grimek. Jack continued to train hard. He refined and molded his body into a masterpiece of muscle and symmetry. At 30 years old he won the top title of the day, the NABBA Pro Mr. Universe in 1956. While winning that contest he defeated the great Bill Pearl in the process. 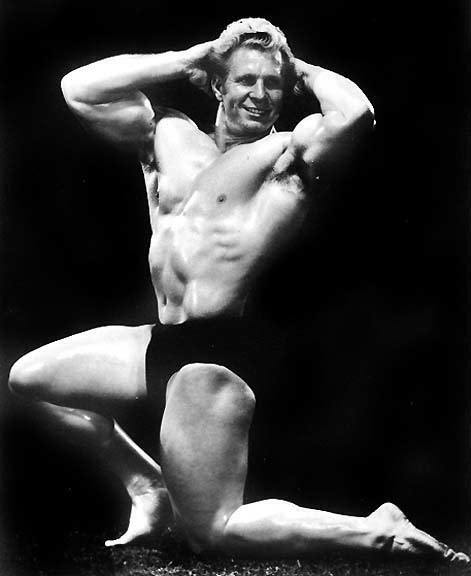 Ed Yarick typically advised his young students of bodybuilding to train 3 days per week. Whole body routines were utilized which gave them a solid foundation. They would later refine their workouts to suite their specific needs as they progressed up the competitive ranks. Cheating was advised for rows and curls. Once 15 reps is reached on all 3 sets, increase the weight to bring you down to 9 again. gym in Oakland, California and continued a healthy natural bodybuilding lifestyle for many years. Unfortunately, tragedy struck the Delinger family in later life. His son John died at age 42 (November 23, 1992) from a cerebral brain hemmorage. Jack, heart-broken, died a month later of a heart attack on December 28, 1992. Loretta is now nearing 80 years of age but is an active dog trainer and dog show judge in Orinda, California. Jack Delinger, with his classic brawn, will always be considered an Iron Age champion. George Eiferman: An Iron Ager Through and Through!